Predicting future prospect success can be an exercise in futility. There are far more minor league players that never reach the big leagues than prospects that become big league regulars. One of the main reasons the Twins Prospect Handbook is created is to tell the stories of most players in the organization. In the last few editions of the Twins Prospect Handbook, the authors have all selected “breakout” prospects. A “breakout” player was defined as a player in our own Top 30 that we think will make a leap into the Top 10. We changed the definition in the 2019 edition of the book because of the influx of players from outside the organization throughout the year. However, it could still be fun to see how last year’s breakout prospects fared during the 2018 campaign. Jay, a former first round pick, is still trying to live up to the potential the former Twins front office saw in him. He spent all of 2018 at Double-A and there were certainly some mixed results. At season’s end, he was left off the 40-man roster and was exposed to the Rule 5 Draft. He went unclaimed and will stay in the organization. Last year Kohl Stewart went through the same process and he ended the year in the big-league rotation. Can Jay follow a similar path to make his big league debut? 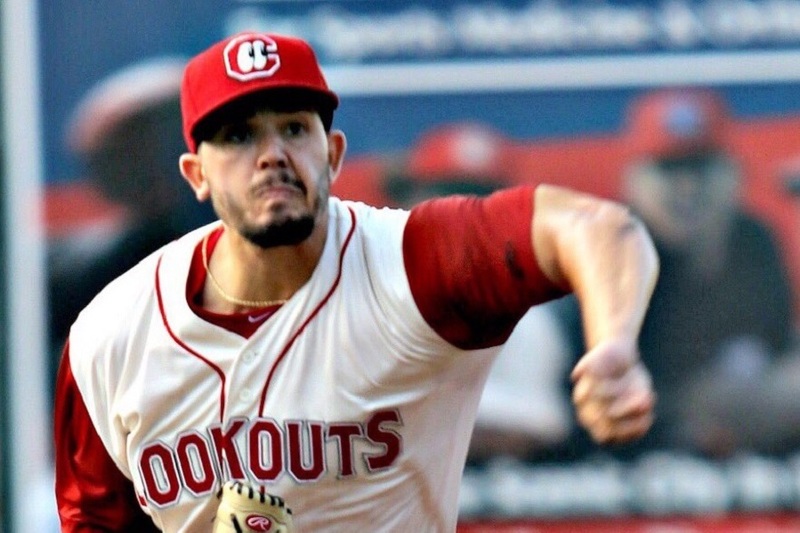 Thorpe pitched for Chattanooga and Rochester in 2018. He was named the 2018 Jim Rantz Award winner as the Twins Minor League Pitcher of the Year. Thorpe had the opportunity to represent the Twins organization in the MLB Future’s Game during the MLB All-Star break. The 22-year old missed the 2015 and 2016 seasons as he recovered from Tommy John surgery and an illness, but he seems to have things back on track. By looking at previous prospect rankings found in the Twins Prospect Handbook, it’s easy to see that I have been driving the Felix Jorge bandwagon for multiple seasons. Naming him a breakout prospect for 2018 was a last-ditch effort to keep that bandwagon on the road. He missed almost all of 2018 as he dealt with a triceps injury and he was removed from the team’s 40-man roster. Pearson spent his first season in the organization roaming the outfield in Cedar Rapids. As a 20-year old, he was almost a year and a half younger than the competition in the Midwest League. Through the end of June (32 games), he was hitting .294/.359/.429 with 10 extra-base hits. His number dropped from there as he might have tired from the rigors of a full-season campaign. Pearson won’t make it into any 2019 Top-10 lists but that has more to do with the prospects being added to the system. He still has a chance to be a breakout prospect in the years to come. Miranda’s season started in the MWL, where he was almost a year and a half younger than the competition. In over 100 games, .277/.326/.434 with 13 home runs and 22 doubles. His transition to the FSL wasn’t exactly smooth has his average dipped to .216. That being said, Miranda was a key cog in the Miracle’s playoff run. He hit .400 with two home runs and three doubles in six playoff games. He’s not quite a Top-10 prospect but he is trending in the right direction. Palacios was traded from the Twins organization for Jake Odorizzi on February 17, 2018. He split time during the 2018 campaign between Tampa’s High-A and Double-A teams. When he got to Double-A, he was almost three years younger than the competition. His .575 OPS was the second lowest total of his career. Minnesota’s organizational depth, especially at shortstop, allowed for Palacios to be expendable last off-season. 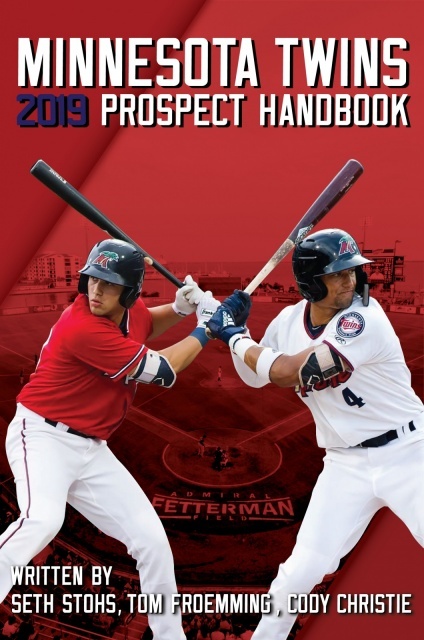 To read more about this year’s breakout prospects and much more about the Twins minor leagues, grab your copy (or copies) of the 2019 Minnesota Twins Prospect Handbook. So despite having significantly better numbers, no Tyler Wells?? You realize these are the predictions they made going into last year, right? Huge miss on Jay. Simply, he may be done. Here's hoping for a great off season, whatever that may mean, and he suddenly puts his resume back in the table. Nope to Pearson, for NOW, but all things considered, wasn't a bad choice. I'm thinking 2019 could reasonably put him in the top 20, maybe top 15, of a deep organization. At this point, unless we see trades, he would have to kill it for top 10 status. Miranda, right now, is just outside the top 10. Not a bad place to be in a system laden with talent. Thorpe is absolutely in the top 10! LH and breathing doesn't do any justice to his early numbers, nor what he has done in his year and a half since getting healthy again. Kid blew away AA and had 4 solid appearances at Rochester before turning 22. He will be in the ML before the season is done. Interestingly, Tyler Wells isn’t on any of their breakouts lists for 2019, either. (Go buy the handbook to find out who is). He does get a nice long article as the organization’s pitcher of the year, and as he landed that award, it does seem fitting that he isn’t really a good breakout candidate. While he would technically fit the bill (top 30 with a chance to break into the top 10), it wouldn’t really be under the radar. I also found it noteworthy that Wells dropped 60 pounds over the last couple of years. As can be seen here breakouts are hard to predict.Would have been nice if you had included the reasoning you thought they would break out.If I had to guess I would say Seth picked his two to breakout as they had had high ceilings and then fell due to injury and should have been back to full strength in 2018. Jorge was an interesting pick as he was never supposed to be more than a number 5 and his stuff was not electric.I assume it was based on his one good start at the MLB level that might have surprised all of us and got us thinking maybe there is more here than meets the eye.Pearson was a bit of an unknown as he had just come over to the Twins but I am guessing the thought was he was a better hitter than what he showed his rookie year.He has not shown that is the case just yet. Miranda was a solid pick as he had shown a lot of power and just needed to improve his eye at the plate a bit more.I liked him as a breakout guy as well,He seemed pretty underrated for what he had accomplished the year before.He still has a ways to go with the bat but he looks good for his age right now.Palacios had already kind of broken out the year before so not sure about that pick for a breakout.I guess that he had more things to work on and in the end I guess it doesn't matter as he got traded. On paper they all looked like good candidates but baseball can be brutal as several of the picks kind of flamed out instead of rising up the ranks last year.Here's hoping they learned a lot last year and breakout this year instead. "Miranda was a solid pick as he had shown a lot of power and just needed to improve his eye at the plate a bit more.I liked him as a breakout guy as well,He seemed pretty underrated for what he had accomplished the year before.He still has a ways to go with the bat but he looks good for his age right now." I see Miranda as the best option as the next Twins third baseman.Will be surprised and disappointed if we don't see him take another step forward this year at A/AA.Is he on their radar as a 2019 break-out candidate? I really was wondering what they knew that I had not heard about becauseI have no internet connection since I live in a van, down by the river. Several things here. First, the Twins added a lot of high end talent to the system over the last year, so eclipsing the top 10 is a major accomplishment for any of them, with Thorpe being the one who probably fit into the class easily. As for Jay, I am not totally convinced that he is healthy yet, despite any evidence to support that claim. And of course Jorge was injured, so that concludes that, other than to say that his build probaby always did leave that as a possibility, probably a bullpen option at best. I think the others presented themselves well, especially Miranda. Thorpe may not be a consensus top 10 prospect, but he had a nice season and looks primed to reach the majors no later than 2020. Solid prospect that continues to rise. Right now it doesn't look like dealing Palacios is going to hurt the club much. My 2019 breakout pick: Ben Rortvedt. The skills behind the plate all seem to be there, and there was very little dropoff on his hitting when he moved up a level, making me think he's getting a handle on his hit tool as he's gotten more comfortable behind the plate. Maybe a bit of a longshot, and I'm sure there are players with sexier skills but a catcher who can play every day and add value at the plate as well is an important prospect. That's the guy I'm rolling the dice on. I'm a big believer in Rortvedt myself! I just couldn't move him to a breakout candidate this year (note - we each chose four breakout candidates and defined it as guys who will be talked about much more in 2019 than they were in 2018, obviously for positive reasons and likely moves up the rankings). For me, Wells did that last year. He jumped up quite a few spots even with the influx of talent this year. For him to bump up and be talked about more in 2019, he''ll have to put himself into the discussion for a big league call up... and I wouldn't' put that past him. Miranda is interesting... I think he did have a breakout 2018 season and showed what his potential can be... I like him a lot more this offseason than I did last offseason, but he didn't' rise up my rankings a ton, again because of the talent brought in over the past year. But he is immensely talented. Me too. Plus I just like catchers. Calling it now, he's a September call up, if not sooner (depending on needs/injuries). I also like Rortvedt for a breakout. Kid is due. Would like to see Stashak put it together as well. Very unlikely, since he's not on the 40 man roster. While I would agree with your statement, remember that Wells would need to be added to the 40-man roster following the season anyway. If he has a good season, they may want to see if his stuff plays in the majors prior to protecting him. Wells could make the team next year But his spike in BB's once he got in AA should be a caution flag. I'm a degenerate gambler and will bet on just about anything with two exceptions-- greyhounds and Twins' prospects. More seriously, thank you for your honesty and openness. And I will await this year's choices for breakout candidates. Good point. That does make it more likely. yeah, looking back, both of the Wells brothers could have been on the breakout list (though if I remember right, Lachlan was hurt)... Not sure I'd put Tyler on it this year as he's already broken out so to speak. I think the question here is ceiling, but the results (thus far) have been pretty good. Hope he continues. Thorpe was a pretty good pick. When you think about it, he was ranked pretty highly prior to his lost seasons. He destroyed the GCL at 17. Yeah, I know it's the GCL, but he was still in High School. He'd have been a first round draft pick had he been US born and entered the draft. Kind of curious who would be on those lists in 2019. There's a lot of young, high-ceiling talent in the minors. One or two of those guys could easily break out in big way. That’s why I said September. Small spike and that could very well be due to tighter zones as he says in the Prospect handbook. Also, his Ks went up as well as a lower ERA and BAA. I don’t think anyone would care too much about a little spike in walks when everything else is significantly better. I know Rooker and Diaz are considered the best 1B in the system, but don’t count out Ryan Costello. With good patience at the plate and decent pop, I think he’s gonna make the M’s really regret trading him very soon. He has to be added to the 40 man regardless of what month it is. Is there a reason why that's easier in September? Add me to the list of those who think that Rortvedt might be a real sleeper and make great strides this year. I'm also still high on Lewis Thorpe. Will be exciting to watch the progress of these and other prospects this coming season.